For more than 50 years in Canada, Belmont Equipment has earned a solid reputation for producing innovative, unique and highly reliable products for the dental practitioner. Whether you are building a new office or planning to update an existing operatory, Belmont has the solution that fulfills your requirements. We understand the passion that doctors and assistants have when they come to work each day. We get the pride that comes with working with your head and your hands. We know you take the same care and consideration when selecting your furnishings and equipment for your operatory – that’s who you are. It’s who we are too. Belmont has long been recognized as the innovative leader in design and technology. Underlying this reputation is our philosophy of making people’s lives easier and healthier. We live this philosophy through products and services that provide ease of use, comfort, convenience, and safety. Our philosophy of caring includes the professionals who select our products and their clientele. With Distributors in 80 Countries, 13 major showrooms in the U.S. and Canada, Manufacturing and Assembly facilities in Japan – USA – Canada – UK – France – Germany – Korea – Taiwan – Singapore. 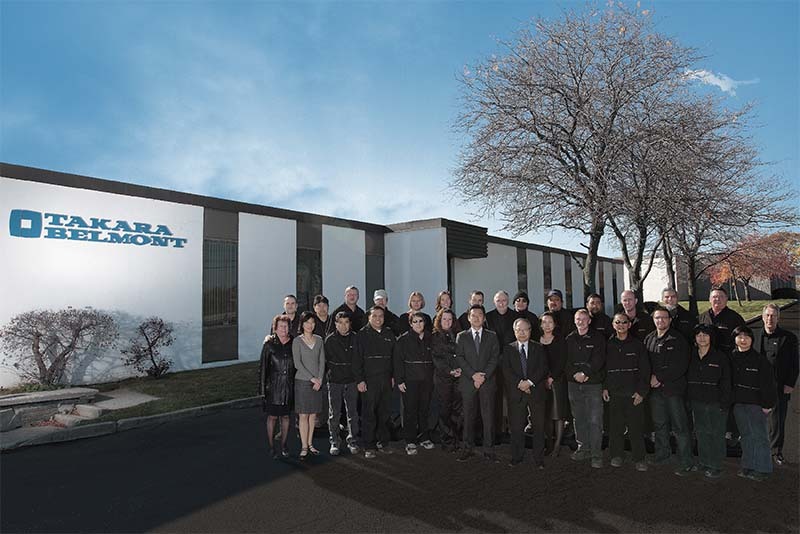 Takara Company, Canada, Ltd. is one of many global facilities that make up our Takara Belmont network. Canadian HQ in Mississauga ON. Takara Company, Canada, Ltd. continues our international commitment and philosophy by ensuring our customers satisfaction through a nation wide dealer network, quality products that are second to none, and a state of the art manufacturing process that ensures our products exceed industry, and regulatory standards. Aiming to build production systems that meet the needs of our times, we strive to adopt efficient equipment and the latest systems. For example, we adopted a cell production system to enable high-mix low-volume production and a computer system to support the cell production system in a new building facility completed in 2003 at the Osaka factory. We established a highly rational system that eliminates overburdening (Muri), non-consistency (Mura), and waste (Muda) by adopting an automated picking system that manages components and a POP system that gives production instructions, reports performance and manages progress in real time. As the acquisition of ISO 9000 certification in 1997 demonstrates, we are fully committed to the production of high quality products. For ongoing efforts to enhance quality and efficiency, we consolidate production system. 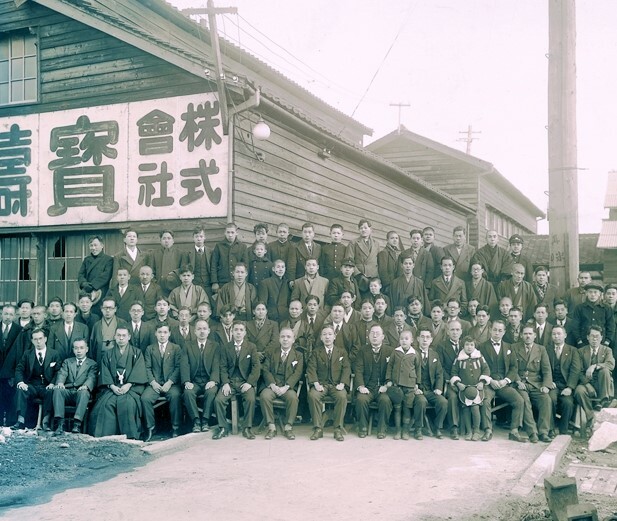 When TAKARA BELMONT started in 1921, it was a casting production factory. For over 80 years, the company expanded the scope of production to include barber, beauty, and medical care with the corporate objective of providing high quality products and services with customers in a whole hearted manner and thereby contribute to realize their wish to become more beautiful and healthier. In the future, we will continue our ongoing efforts to actively introduce advanced manufacturing facilities and efficient production systems in response to the changes in the times, produce high quality, innovative products, and enhance the reliability and safety of our products.